Goal: A choice of efficient, convenient, safe, and affordable transportation and land use options, providing access to jobs, shopping, recreational centers, schools, airports, and rail centers. New Jersey is a major transportation hub for the North East, with people flowing into and out of New York and Philadelphia, passengers and air freight traveling all over the world from Newark Liberty Airport, and freight coming into the country through the ports of Newark, Elizabeth, and other towns. Within the state, however, transportation has become a significant bottleneck. While many of our older cities and towns are along New Jersey Transit rail lines, most of our new residential, commercial, and industrial developments are only accessible by car. The result has been a huge increase in miles driven, miles of paved roads, energy consumption, air pollution, and traffic congestion. The strong public policy emphasis now being placed on encouraging smart growth and reducing sprawl may help reduce this problem over time, but this will not be easy. 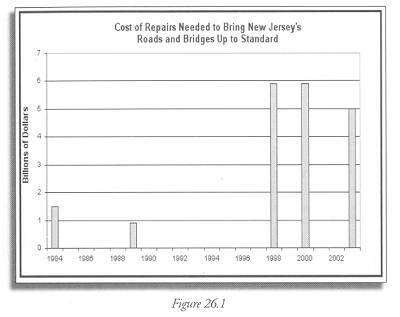 Need for road and bridge repairs rose to high levels in the 1990s. 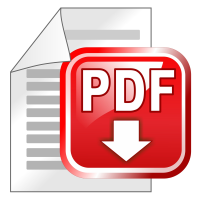 Vehicle miles traveled per capita are increasing steadily. Workplace transportation options – the extent to which new employment centers are built in proximity to mass transit – have improved slightly. 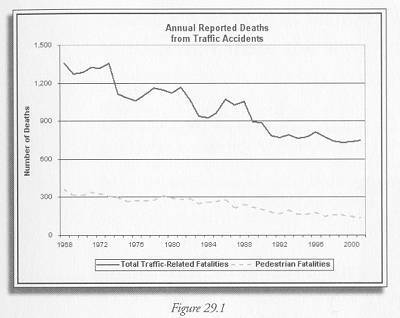 Traffic fatalities have declined gradually since the 1960s. 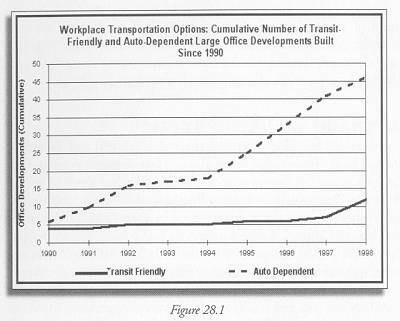 Our transportation problems are closely related to our land use patterns. Some people would prefer not to drive all the time, but feel they do not have a choice. Indicators on this issue might capture both the number of towns where it is possible to meet basic needs (e.g. shopping, banking, children’s recreation, entertainment, eating out) without a car and the number of people who live in such communities. Other useful indicators might capture the extent to which it is possible to get around by bicycle and the amount of freight transported by truck vs. by train.